Human vs. The Earth: What’s our new range of stone notebooks all about? As ever, this new range of Rockbooks is completely tree-free, good-looking, lovely to write in and waterproof. But this time, the design asks you to look again, to see the world from a different, slightly surreal perspective. 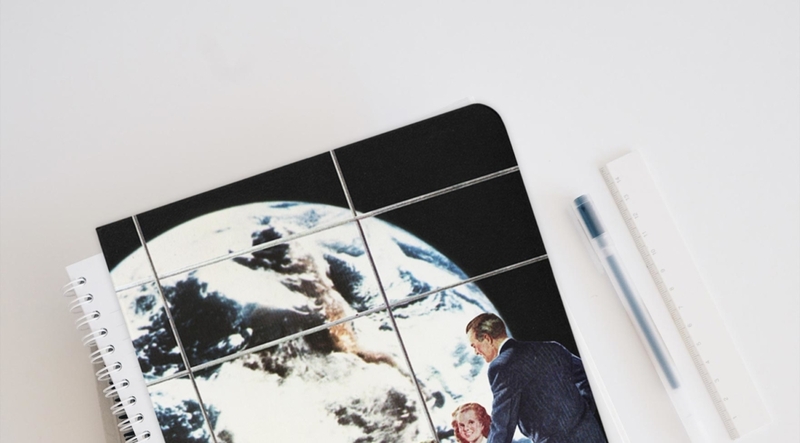 Here we discuss the inspiration and technique behind the space-themed designs with Paper on the Rocks’ very own designer and illustrator, Honorata van den Akker, and founder, Anne Pleun van Eijsden. Can you explain the inspiration behind the cover designs of the Human vs. The Earth collection? Honorata: Sometimes I worry about the fast pace and quantities in which we, as humans, produce and consume, and what the future will look like because of this. This is the main feeling that served as inspiration for this series. The cover designs aren’t meant to have one explicit meaning, that’s up the viewer. But they still evoke a particular sense or emotion. Anne: We asked Honorata from the get-go to make artwork that looks nice at first glance, but when you look closer ‘something’ is just not right. It’s the same as with the issues surrounding climate change. You need to take a closer look to see what is going on, and then take action. Can you tell us more about the design process and technique you used? Honorata: The technique I used is collage, using multiple images combined to create something new. Collage lends itself well to making quite surreal, strong images, which wouldn’t necessarily come to mind when you’re drawing. For these collages I started by creating free work, just what came to my mind. Later I found the main theme – space – and I focused on that, creating multiple images within this theme. I also work a lot with contrasts. Mostly in a way that can be critical of society, but also like in these collages; Human vs. The Earth. ‘Perspective’, one of our three new limited edition Rockbook designs from the ‘Human vs. The Earth’ collection. How do these cover designs fit in with Paper on the Rock’s wider mission? Anne: Our mission and aim is to put a halt to the polluting pulp and paper industry that uses up precious resources we should be saving. Deforestation is a big threat to our planet’s species, and Paper on the Rocks wants to turn the trend of ever-decreasing natural forests around. It’s time to take a strong stance against climate change. We don’t want to scare you away, but at the same, we all need to question what our future will look like if we continue along the path we’re currently on. Honorata did a great job in translating this into images that do just that. Which design will you keep with you in your bag, ever-ready for scribbling down something inspired? (And, of course, as a constant reminder that we need to act). Anne: My favourite is the ‘astronaut’ walking on Earth, where there’s just a little green left, but no biodiversity. This makes a statement, and forces you to look twice to see what’s actually happening in the picture. Over the next months I will for sure be using this book and showing it to everyone I know. Honorata: I’m so pleased with how they’ve all turned out, I can’t really choose a favourite! But the first notebook I’m going to use is the one with the hand holding the flower. It’s a bit more surreal but simple as well. And finally, can we expect any additions to this collection? Anne: This is a limited edition capsule collection – what you see is what you get. However, this range does mark the first of a series of ‘climate / hope’ artwork on our Rockbooks. So watch this space. You can buy your own Human vs. The Earth limited edition Rockbooks right now from our online shop. They cost €14.95 each (before postage) – or you can get all three in a special gift box for €39.95. We think they make a pretty great Christmas present for your sustainably-minded friends with a love of thought-provoking design. And don’t forget, 5% of the money from the sale of Rockbooks goes towards reforestation efforts and natural reserve protection initiatives. What do you think? Which is your favourite design and why? Let us know in the comments below! https://paperontherocks.com/wp-content/uploads/2018/11/human-vs-the-earth-limited-edition.jpg 975 1761 Sarah Oxley https://paperontherocks.com/wp-content/uploads/2019/03/paper-on-the-rocks-logo-1.png Sarah Oxley2018-11-26 10:03:342018-11-28 13:52:56Human vs. 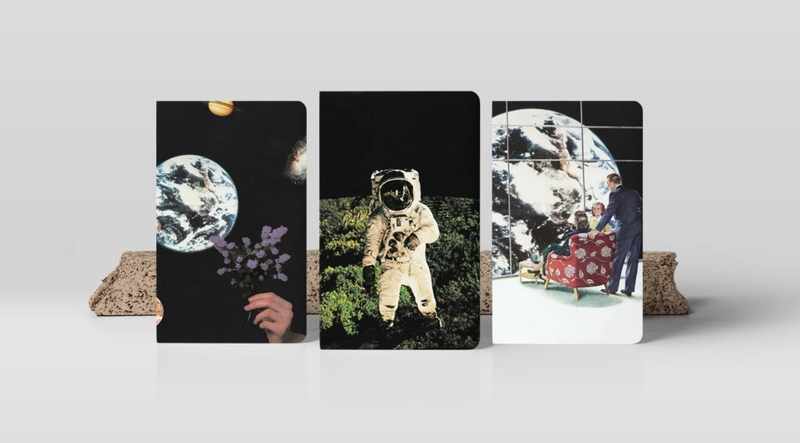 The Earth: What’s our new range of stone notebooks all about?